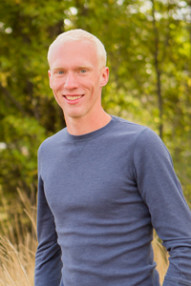 Chris Morris is a proud native of Northen Colorado and now is an Associate Pastor at Real Life Community Church. Having a heart for growth in Christ, his ministry centers around bringing up disicples and equiping them for personal ministy. Chris first heard about Jesus when he was 10 then later at age 15 had his life changed by the undeniable Gospel. Since then, he has pursued a call to ministry and strives to Glorify Christ. Chris has just a few hobbies, but they extend deep into who he is. He enjoys studying histories, theologies, and works on culture. He can be found playing the bass and acoustic guitar and from time to time enjoys a good cup of coffee. 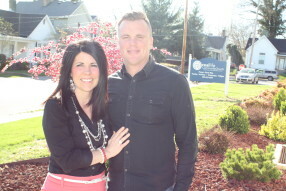 Chris May serves as Lead Pastor at Real Life Community Church. Growing up in Winchester, KY, Chris has a heart to reach people in his home state. He was transformed by the power and love of Jesus at the early age of seven, and has been serving in vocational ministry for over fifteen years. Chris is a licensed Assemblies of God Pastor, and he holds a B.S. in Psychology, as well as a Certificate in Biblical Studies, both from Colorado Christian University. He is strong leader and visionary, a dynamic speaker, and an accomplished musician. Chris is an avid U.K. Basketball fan, and he enjoys reading, playing guitar and keyboard, and exercising. He loves spending quality time with his wife, Niki, and his two boys, Dylan and Connor.